Last week, I had a chat with some of my learners about the amazing abilities of one’s brain. For example, have you ever struggled with a Math problem or had trouble remembering something that you know you should be able to remember? And then, slap bang in die middle of the night or while you are having dinner, the solution suddenly comes to you – even though you aren’t actively trying to solve the problem at this stage. The thing is, even though you may have taken a break, your brain hasn’t. Your unconscious mind was still mulling over this problem long after you quit. Isn’t that amazing? 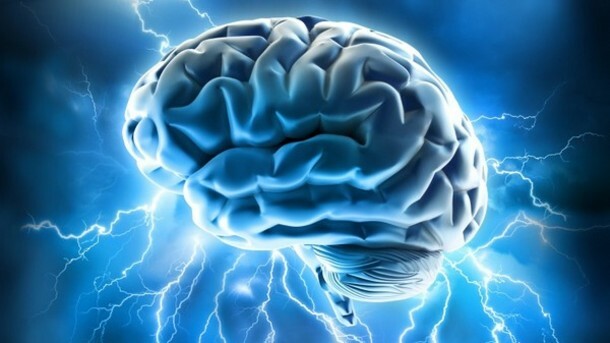 Your brain also has the ability to regulate and even override symptoms such as pain. If a doctor tells you that an injection will be painful and you believe this to be true, it will probably be painful because your brain tells you that it is. Let’s look at another scenario. Let’s say you bump your toe as you get up in the morning and then spill your coffee all over your shirt, but instead of letting all sorts of negative feelings crowd your brain, you tell yourself, Don’t worry. From now on things can only get better! Do you know what? Your day will probably improve, because you will see everything that happens from a positive perspective. Last week’s conversation also made me think about mental toughness. My good friend Wikipedia describes mental toughness as “a measure of individual resilience and confidence that may predict success in sport, education and the workplace”. In Maths, we tend to focus on understanding the work and practising techniques and methods that will help us solve problems. I agree that these are all extremely important – but I think we sometimes forget that there is another component which also plays a crucial role in your success. I’m talking about your ability to control stress and to prevent striking a blank when you are sitting in the exam venue with your exam paper in front of you. All your hard work in Maths will come to nothing if your brain allows stress to take over. This is where mental toughness comes in. We should train our brains to support us in such stressful situations instead of “dropping” us in times of need. Your brain should be like a strong muscle lifting you up, no matter what. And just like in sports, where we train our muscles and practise sports techniques, training your brain to improve your mental toughness might take time – but in the end it will definitely be worthwhile! The thing is, your level of mental toughness may play a huge role in achieving success (or not) in exams. So how do we improve our mental toughness? First and foremost, be kind to yourself. Give yourself positive pep talks, even when you are struggling – no, especially when you are struggling. Tell yourself you are doing well, and persevere. This will build your mental and emotional strength. Always boost yourself and tell your inner self you can. Set realistic goals (write them down) and be proud of yourself when you achieve a goal. Go eat an ice cream or something and celebrate reaching your goal! Writing down your goals is quite important, as this will enable you to see how you improve over time. Let go of negativity. Never tell yourself you can’t do something. (You can – just believe you can and then keep working hard, no matter what.) Never, ever tell yourself you’re going to fail. Just don’t. Challenge yourself to always have a positive outlook, even when things don’t go that well. Yes, even in the face of overwhelming negativity. Here’s a nice exercise you can do to practise this: Find something positive in any and all situations, even when you don’t feel like it. Your something positive needn’t be huge – in fact, it could be something really small. For example, if you are desperately struggling with a Math problem, you could tell yourself, Well, at least I got the first part right, or At least I got the previous one (or even the one before that!) Let’s move on to the next question and come back to this one later. Take deep breaths (in through the nose and out through the mouth) and learn to stay calm in stressful situations. Let’s all start improving our mental toughness today. We could all do with a tough mind in everyday life situations anyway! Let’s do everything we can to allow our brains to be as amazing as it should be.